As soon as I put the Salsa para gatitos y perritos CD in our car’s CD player, my kids started swaying to the music. And who wouldn’t? This magical CD contains 15 songs that are alternatively sung in English and Spanish. The rhythms are catchy and the lyrics easy to memorize so that even little children like my 2-year-old can sing-along. I was so enthralled by the quality of the music of my pick for this month’s Scholastic Parent Circle that I decided to go searching for some background info. 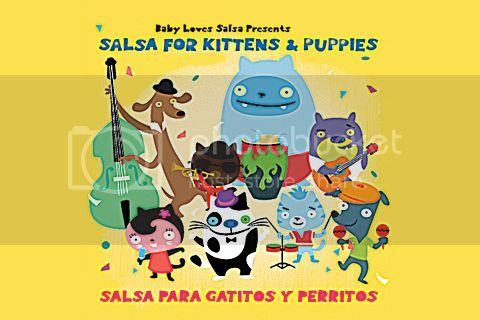 Here’s what I found: Salsa for Kittens & Puppies was produced by Aaron “Luis” Levinson who won a Grammy for best salsa recording for the Spanish Harlem Orchestra in 2006. (If you’ve never heard of them and you really like salsa, I suggest you look them up immediately.) And, so it’s no wonder that the CD includes performances by some of the biggest and best stars in contemporary salsa music. The CD booklet tells the story of a group of gatitos y perritos from the streets of New York City who get together to form an awesome salsa band. The story is in English, but with a lot of key phrases in Spanish in parentheses and it’s the cutest thing! The illustrations are adorable and funny (check out some of the characters’ names: Celia La Cruz and Hector La Bone!) and the story introduces kids to all things salsa, including the instruments, in a super fun way. My 5-year-old daughter is not only hooked on the music, but she LOVES the story in the booklet and has made me read it to her several times since the CD arrived. It’s hard to tell which one’s her favorite song because they’re all different, but I think “Bailar rápido (Bailar tranquilo) is definitely up there. My son loves the salsa version of “Old MacDonald.” Just a couple of nights ago, we played the CD in my daughter’s room and both kids burned a bunch of energy bailando… ok, I too. It’s that good! Want to take a listen? Enter our giveaway! This giveaway is now closed. Congratulations to the winner: Scordovi! We’re giving away one Salsa for Kittens & Puppies CD to one lucky winner. To enter, all you have to do is leave us a comment telling us how you teach your children about different music genres. This giveaway ends Tuesday, March 13 at 11:59 p.m. EST and is open to everyone with a U.S. mailing address over 18 years of age. Check out the Giveaway Rules. I love that this includes a story AND the music! I am looking forward to my first little one…supposedly he/she will be here May 9. 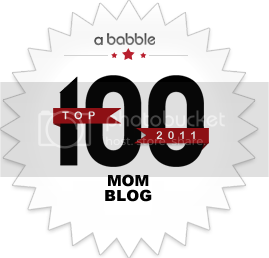 I have to say, I am a bit biased toward certain kinds of music…praise & worship, salsa, reggaeton, top 40, but luckily my hubby will be playing some of the other kinds for baby to hear (like easy listening, latin jazz, indigenous Andean music). So far, baby listens to whatever I listen to…but I know I will want him/her to grow up knowing all different kinds of music. I am a FB fan of SB. I get the SpanglishBaby email updates. We listen to a lot of music on sirius radio through Directv. We often play music when we are playing or cleaning the house. We flip the channels through Mariachi, Regional Mexican, Salsa, and many more. My daughter loves to dance to Mariachi! I was big into music growing up, so I have a rather eclectic collection of CDs. So, that is the primary way I expose my boys to music. I used to listen to the radio when we lived in the States, but now we live on an island in the Caribbean, and the only station we can tune into is the car, sadly. I already follow you on twitter and subscribe to your blog via e-mail! Teaching different music genres is especially important to me because my husband is a DJ whose company specializes in multicultural music. Going further, as hispanics we are particular to ensure that not only do the kids understand the differences in music but their respective origins and the difference from place to place. Cumbias are different in Mexico and Columbia. The genre Salsa is an umbrella encompassing multiple music stylings and different variations by generation, location and style. Then there are the older styles – Guguancos and Trios, Mambos and Punta. There’s so much more to music then just a rhythm and lyrics. I love cultural literacy and teach my kids everything from patriotic american songs to the canadian national anthem. I also like when we play songs like Cielito Lindo at Christmas and Las Mañanitas at birthdays. It exposes them to traditions and more than just what is on the radio. The kids are teens today. This has been years in the making. Their music resume is a bit well-rounded! They enjoy these songs as much as R&B, Rap, Rageaton and Country just because they have come to know them. My daughter loves all kinds of music, she is exposed to different types in dancing classes (classical, jazz & hiphop), she is fortunate to have genre Salsa dancing as part of her immersion program at school. I take her to different free things at the beaches and libraries where she decided she also loves opera. I love country which is her least favorite. She sings hymns & praise music in the children’s choir at church. I already subscribed to your email blog. We sign up Music Together, which include songs from different cultures. 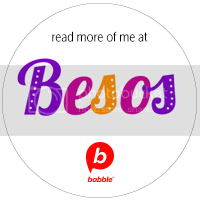 I just found your site and am so excited! 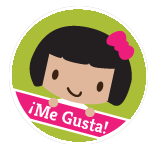 I teach a children’s music class in local schools and am starting a Spanish program, as well. One the the things we do in our music class is to spend a couple of weeks “flying” to different countries each week and listening and dancing to different music. We find the place on the globe, then put our wings out, start our engines, and “fly” there. I try and find a folk song that we can learn (at least a verse or two..) for each place, too! Subscribed to email updates! Thank you! My husband is a musician, and I am a music teacher. He travels all around the world, so it is very easy for us to find music from different cultures. I always asked him to bring back some traditional music to share whit my students. So, we have a big collection of music. Now, I show my son where is dad in a big map that we have, and tell him which language they talk there and listen some music of that country. In addition, sometime we have musicians that come to play with us, so we talk with our son about which country they are coming, and which music they listen, etc. I am already subscribed to the blog. I’m an elementary ed teacher with a music minor so for me it is super easy to incorporate music into our daily routine. I also love a variety of types of music and so does my husband so the girls are exposed to many different genres! Riding with daddy to daycare and with me on the way home is how our boys hear a variety of music–my husband and I have varied tastes! We like to play all sorts of music in our house. We usually go through the radio station and play different types. We do skip over the hard rock and stuff that has profanities. You can teach different styles of music by listening to them and responding: marching to a march, pretending to sleep during a lullabye, dancing to a salsa, pretending to play the various instruments used in the music, etc. I teach them by playing all kids of music in both English and Spanish, dancing with them and singing with them. My daughter is just 2, but we listen to all kinds of music with her. Classical, country, praise and worship etc. 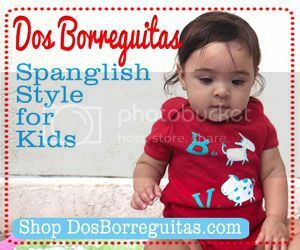 I am like Spanglish Baby on facebook. We listen to different sorts. We dance and move in different ways according to the beat/theme/genre. I use Rhapsody in the vehicle with my Grand Daughter and let her experience all types of music. I like to introduce her to different genres to expand her horizons. My husband and I are both Cuban-Americans so we expose our son to everything from Benny More to Celia Cruz to Pittbull and at night I sing to him the lullaby’s my grandmother use to sing to me.